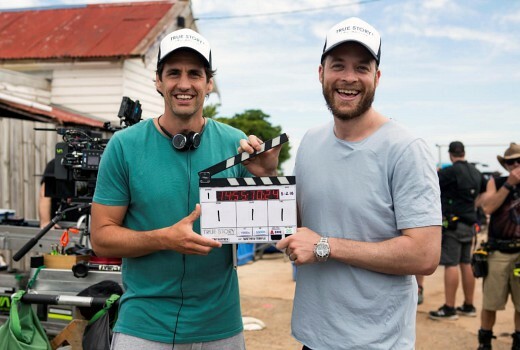 The return of True Story with Hamish & Andy won its timeslot for Nine at 749,000 viewers ahead of War on Waste, Interview, Shark Tank (two of them in season finals) and Insight. Although that was well down on the 2017 debut of 1.42m neither was it in the same timeslot this year. The Block dipped on its third night taking 921,000 viewers but still winning its slot and topping the demos. Australian Survivor was second at 610,000 with Dance Boss third at 573,000, both moving ever so slightly north and south, respectively. Seven News, ACA and The Chase won their slots as usual. Nine network won Tuesday with 31.3% then Seven 27.3%, ABC 17.7%, TEN 17.5% and SBS 6.2%. Nine News (1.01m / 983,000) led for Nine followed by The Block (921,000), A Current Affair (869,000), True Story with Hamish & Andy (749,000), Hot Seat (520,000 / 311,000) and movie: The Castle (368,000). Seven News was #1 for Seven with (1.05m / 1.00m) followed by Home and Away (672,000), The Chase (614,000 / 372,000), Dance Boss (573,000) and Interview (473,000). Killer Tapes was 258,000. ABC News (773,000), War on Waste (644,000), 7:30 (571,000), Foreign Correspondent (527,000), Who Killed Belinda Peisley? (297,000) and Think Tank (239,000) comprised ABC’s night. Australian Survivor (691,000) was bet for TEN then The Project (491,000 / 272,000), TEN Eyewitness News (400,000), Shark Tank (371,000) and Pointless (274,000). On SBS it was Who Do You Think You Are? (246,000), Insight (145,000), Dateline (119,000) and SBS World News (115,000). 7mate’s Highway Patrol topped multichannels at 208,000. Tags: 7:30, A Current Affair, ABC News, Australian Survivor, Dance Boss, Dateline, Foreign Correspondent, Highway Patrol, Home and Away, Hot Seat, Insight, Interview, Killer Tapes, Nine News, Pointless, SBS World News, Seven News, Shark Tank, Studio 10, TEN Eyewitness News, The Block, The Chase, The Morning Show, The Project, Think Tank, Today Extra, True Story with Hamish & Andy, War on Waste, Who Do You Think You Are?, Who Killed Belinda Peisley? If you have a close look at the ratings, Dance Boss is doing not too badly in Sydney and Brisbane, but doing very poorly in Melbourne, the city its made in. The Project is strongest by far in Melbourne so it gets a good lead in. The may need to promote it better in Melbourne as home grown and it might have a chance. Made in Sydney. Project on TEN, DB on Seven. Hi David, your network shares are not displaying correctly… 9 was 31.3% (you have it as 25.9%)… they’re all incorrect for some reason. Cheers. My apologies. Some changes to email display meant I clicked on the wrong file. I shall have to be more alert! Hi David, Has Think Tank increased its ratings since Family Feud ended. Just wondering if it may be taking numbers from pointless? Some days up, some days not. Might be a bit early to call a trend. Enjoying Survivor but the episodes are too long with each one that has aired has been 90 minutes. Also a little disappointed with the first three choices to leave the island as I wanted to see how those three progressed. Hopefully it stays interesting and personalities come out. I have also noticed this year each ep has a reward and an elimination hence the longer ep. but I rather a shorter ep and less eps per week. At least at The Bachelor starts next week to slow Survivor down. I don’t like them burning it off perhaps they are trying to establish a larger audience. Apparently only two episodes a week from next week. And I think some will only be an hour, so you’re in luck. Hamish and Andy is really a great show but it has a budget well north of 1M per episode. At that budget those numbers are hard to justify. I’m not privy to budget. What’s your source?